My 1389 arrived yesterday! 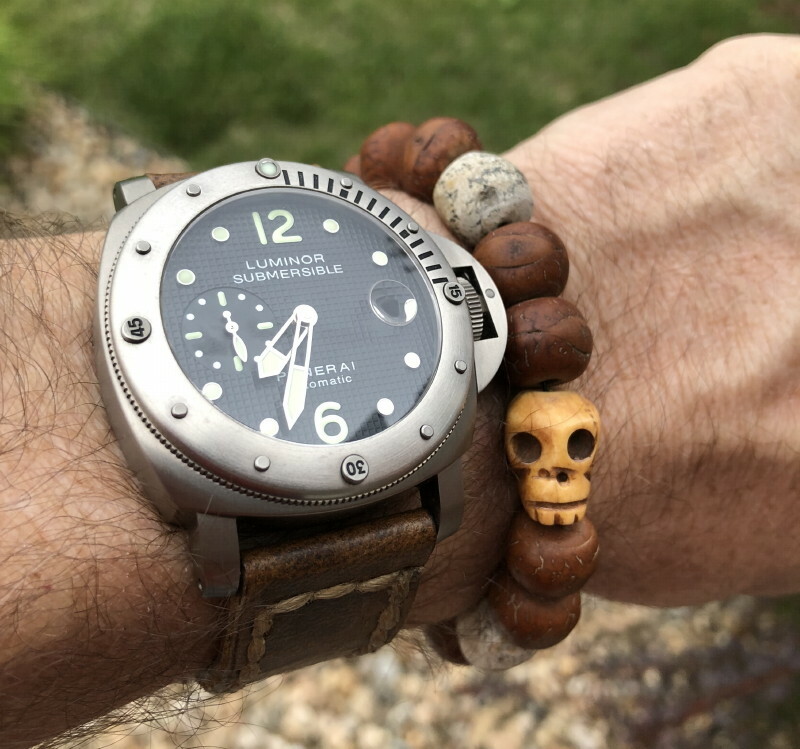 Pretty much the perfect combination of specs for a Panerai IMO. 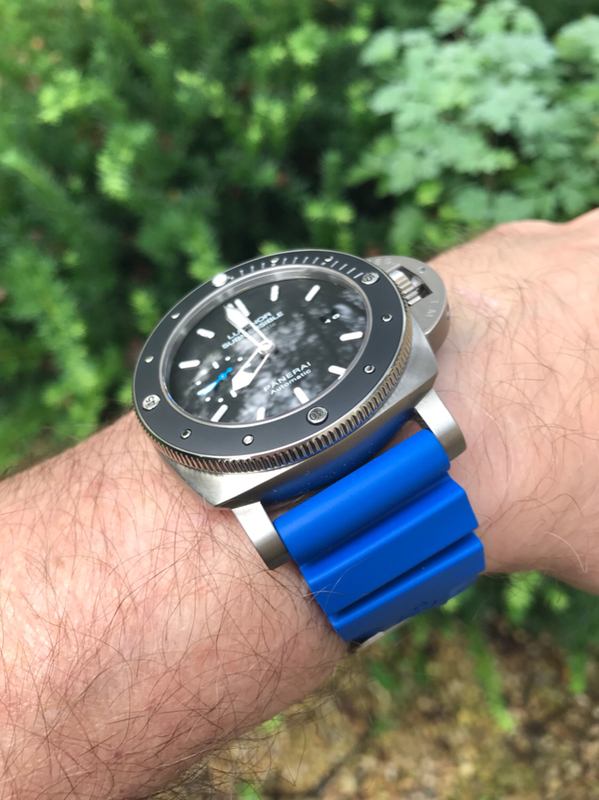 47mm, titanium, ceramic bezel, sub seconds (blue hand), quick change strap system, etc. The Amagnetic part is just icing on the cake. It's awesome! My 372 wasn't getting much wrist time anymore ... I sold it to DavidSW. I can't say enough good things about how painless he makes the process. I think I want to pick up another color rubber strap ... too many choices! Very nice! Congratulations. Fun and cool piece. That is an amazing watch! Congratulations! looks great. I've been eyeing this model myself. 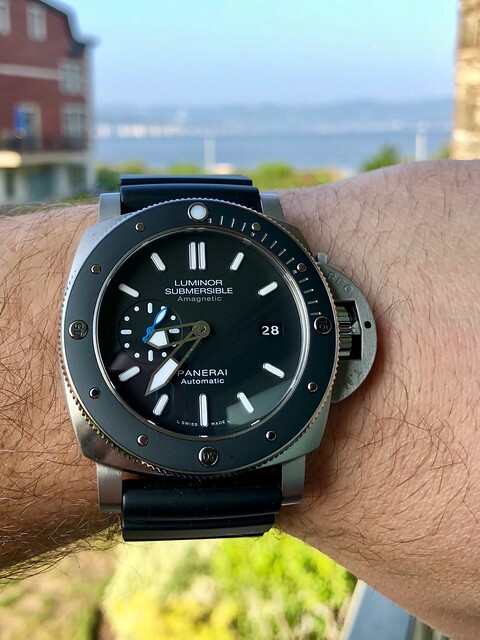 It definitely stuck out to me in the Panerai lineup. The new slimmer case pushed me over the edge. Plus, it looks great on rubber and I like having a watch in my collection that is meant to be on rubber. Congratulations, love that touch of blue! The ceramic Submersibles are awesome. Congrats! Besides another rubber strap, could dress it up with some leather ones. Congratulations. I went back and forth with the 1389 and a 389 and it came down to the fact my AD could not get a 1389 for an extended period of time so I sourced a 389. Great watches an now my summertime wear in the heat and humidity. The rubber straps are amazing and I have OD green, dark blue, orange and the black the watch came on. My 389 also keeps almost perfect time. Lost 1 second in a month. Enjoy. Nice piece! This is my first titanium watch ... very happy with it! Looks great. The biggest thing that pushed me over the edge to the 1389 was the reduced case thickness. I'm a bit late to the party, but congratulations! 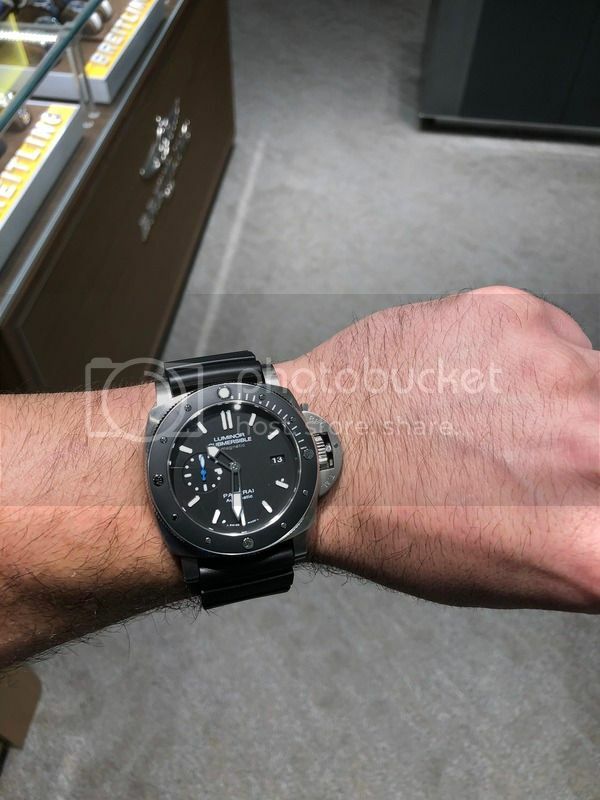 That is a great watch, and love the small touch of blue on the seconds hand. Just enough to maybe be able to do something with another strap. 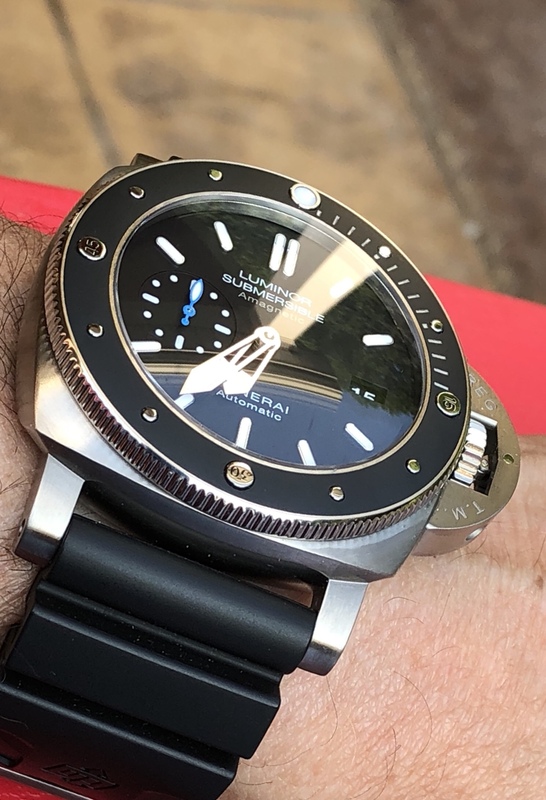 Great watch , i have a 364 and love it but have to admit the bulk gets to me some days. These new thinner cases are tempting. Awesome watch.... That's on my list to pickup. Then add the blue rubber strap. Thank you! The touch of blue works very well ... definitely icing on the cake. Thanks! The case thickness was the biggest difference maker for me. I really wished rubber b would make their straps for the 47mm cases. Looks great with the black bezel!! If it come in 42mm.. I will be keen.